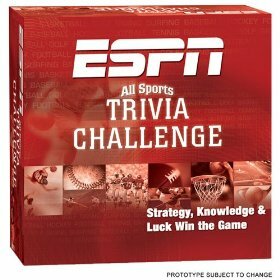 ESPN All Sports Trivia Challenge – 1,500 sports trivia questions. Scene It? 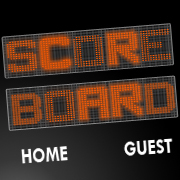 Sports – 1,100 sports trivia questions. And a DVD. 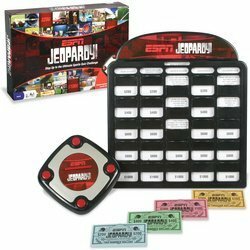 ESPN Jeopardy Game – 1,000 sports trivia questions. 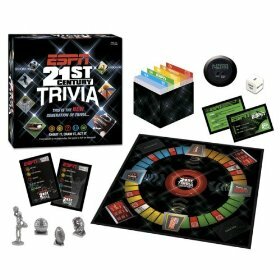 ESPN 21st Century Trivia – 1,000 sports trivia questions. And that, folks, is what happens when people who think they know games make games: four trivia games and a Monopoly game. I won’t argue that sports devotees are nuts about sports trivia. But surely ESPN could get behind something like a Formula De, Strat-O-Matic, or some other kind of sports simulation game. What, exactly, is wrong with these games? ESPN isn’t marketed to gamers, it’s marketed to sports fans. With the possible exception of online fantasy leagues, ESPN’s core audience aren’t interested in gamers’ games. What they will buy are casual and party-style boardgames. 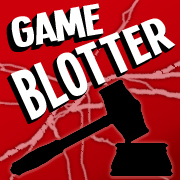 When you fault EPSN for licensing their name to these five games and not say, ESPN’s Formula 1 (http://www.boardgamegeek.com/boardgame/1535) I think you are missing the important business realities behind making games. Hi Drew, thanks for commenting. 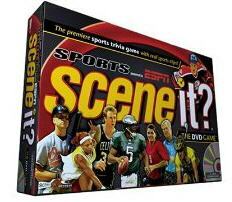 As I wrote, I acknowledge that there is a market for sports trivia games, which these fulfill. But that’s the entire extent of the selection. I’m pointing out that there must also be a market for ESPN branded sports simulation games, which the brand holders appear to be entirely missing. Strat-o-matic isn’t a gamer’s game either, and neither is Subbuteo. These are pretty popular among sports-lovers however. 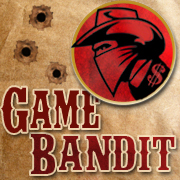 There’s room for a lot more than just trivia and a Monopoly clone. 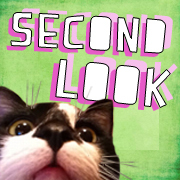 Sorry – I realize now I came off like a pratt in that last post! 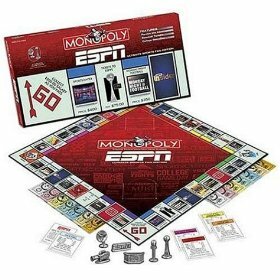 What I was trying to say was: I just dont’ think it’s worth the time and money from ESPN’s point of view to license their name to a hobby-market game. They’d probably lose money on the deal: the royalty revenue off of a hobby game’s (with some degree of increased sales because of the ESPN name) is probably less than the cost to do legal diligence on the deal. Hobby games just don’t earn alot of money.